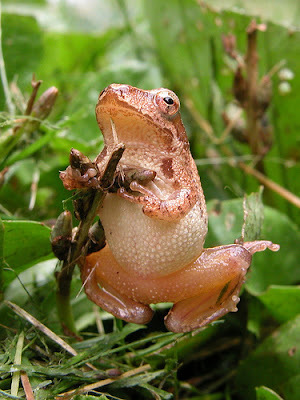 The Sheep Whisperer: Amorous Amphibians! Waking up to robins singing is a telltale sign from the bird world that "Spring" has arrived. Ewe know that old man winter has packed his bags & his season has ended. 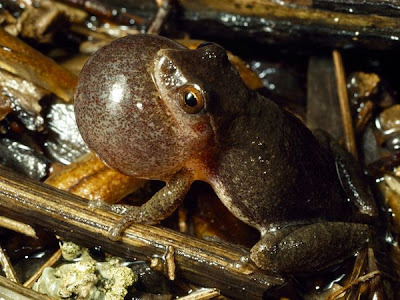 In the amphibian world, we have another creature that confirms winter's demise with songs in the night. 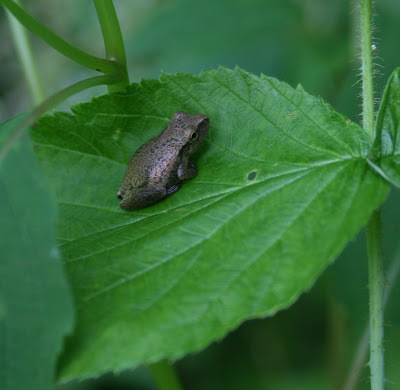 Spring Peepers fill the evening with an amorous sleigh-bell chorus that signals from the world of nature that spring has officially arrived! This is my singing "Game Face"! Jeepers, Peepers, Ewe caught me out in the daytime! 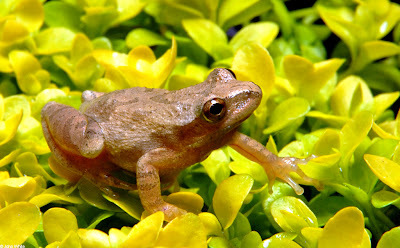 Spring Peepers are located in grassy lowlands & wooded areas near swamps & ponds in Canada & the United States. 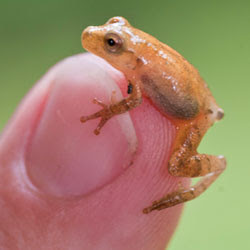 Tan or brown in color, with black lines that form a distinct "X" on their backs, these 1-1.5 inch long amphibians have large toe pads for climbing, yet they prefer remaining camouflaged on the forest floor. They are nocturnal creatures , thus avoiding potential daytime predators. They mostly emerge at night, scanning the forest floor for delicacies such as spiders, beetles, flies, & ants & are rarely seen. I'm picking some flowers for my mate! Catch me if Ewe can! 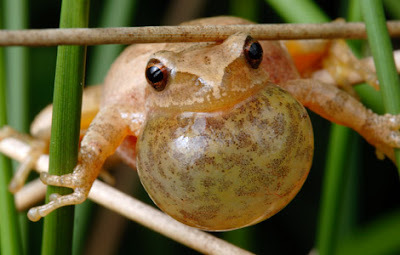 Spring Peepers are most renowned for their singing at their annual mating ritual. It's resembles a combination of a Barbershop Convention & The Dating Game. 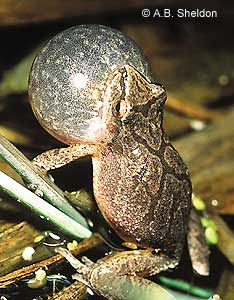 Once the romantic pair "find" each other, the eggs are laid in the water , & they hang out the rest of the summer in the forest. When winter arrives, they find shelter under a log & behind some loose bark, & hibernate. While they are hibernating, they allow their bodies to freeze, hoping to thaw out in the spring. Now that's a "cool" plan! My favorite song is "Hibernate, Hibernate, Freeze to the Music!" Ewe & my mate are going to "Love" this tune! 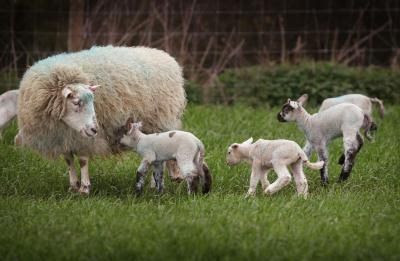 Sheep don't usher in the springtime with a concert, however, they do give birth to numerous lambs during that time of the year. Reproducing after their own kind is something that both Peepers & Sheep share in common, & is a considered a gift from God! Not too "Baa...D"! Look at these beautiful Kids! As EWE begin another season of the year, consider this Truth. Whatever season of the year it is, reflecting on God's Goodness always makes for a better Day! Happy Grazing!